Sign Up to Get Free Dog Toys for Life! 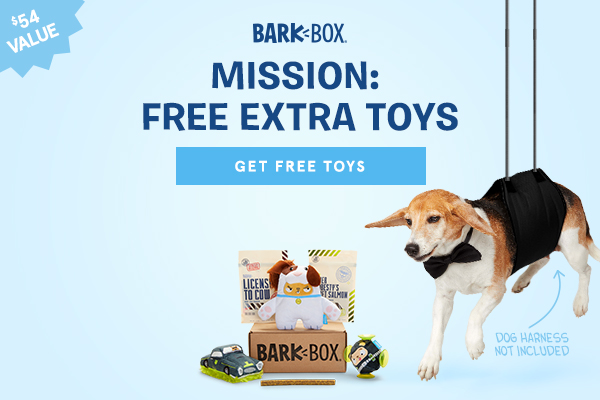 THIS WEEK ONLY: Get a FREE extra toy in every BarkBox when you sign up for a 3-month plan. 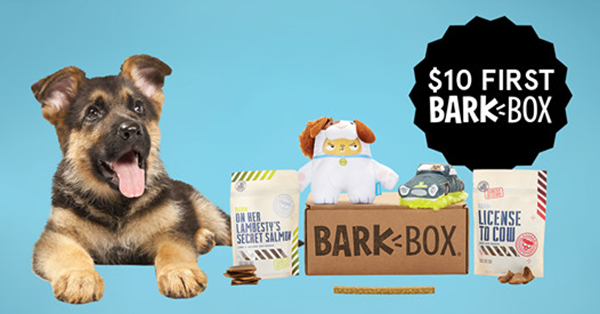 BarkBox is always a good time, but this deal makes every month better. Start your plan now and every BarkBox that lands on your doorstep will be bursting with THREE original toys, two full bags of all-natural treats, and one delicious chew. Every BarkBox includes FREE US Shipping and can be customized for your dog’s size and food allergies. Begin your pup’s BarkBox adventure today. Use this link to get FREE dog toys for life! Visit our BarkBox Reviews and Coupons Page to see what’s been in past BarkBoxes and get other BarkBox deals. With so many different dog coupons and deals out there, we just wanted to take a sec and remind you that we have the very best BarkBox discount code available for our blog readers and social followers. 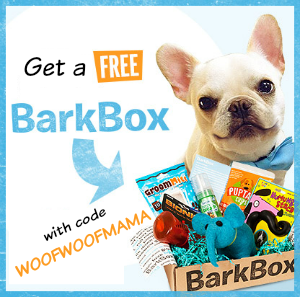 Use BarkBox promo code WOOFWOOFMAMA and get an extra month FREE added to ANY plan of 1 month or longer. That means that you can Buy One Month and Get One Month Free! Just choose the monthly option at checkout and you are free to cancel any time after your second month (the free month) ships. 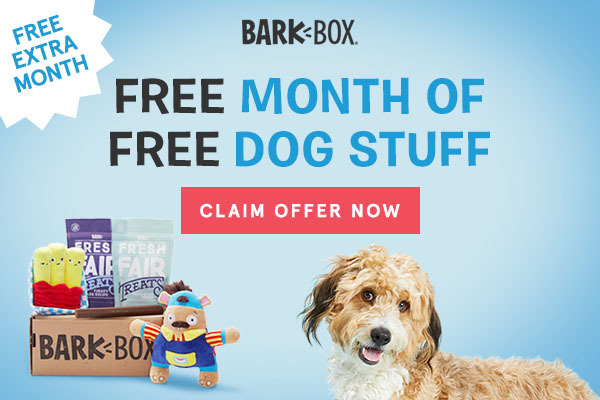 Important: when you click through to the BarkBox website, you will see an offer for the free box on the 6-month and 12-month plans, but our code WILL give you a free extra month added to the monthly (no commitment) plan as well. 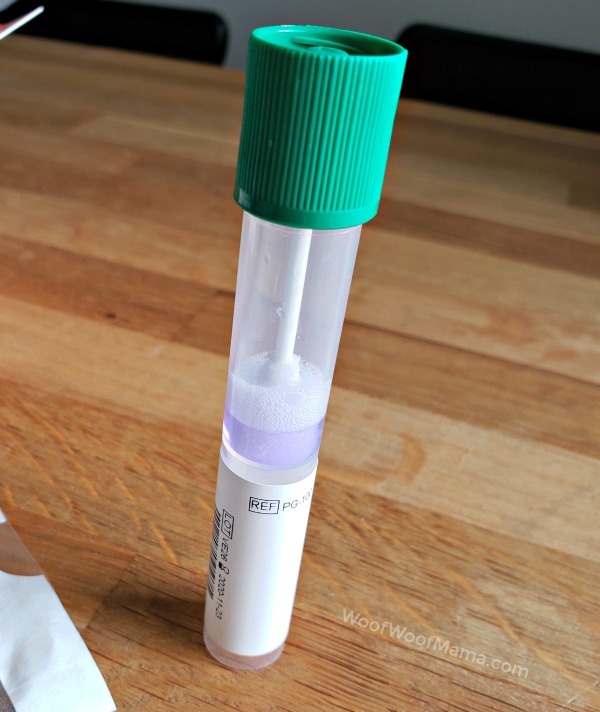 Just make sure you USE THIS LINK, and coupon code WOOFWOOFMAMA should be automatically applied to your order giving you the free extra month on every plan opton. 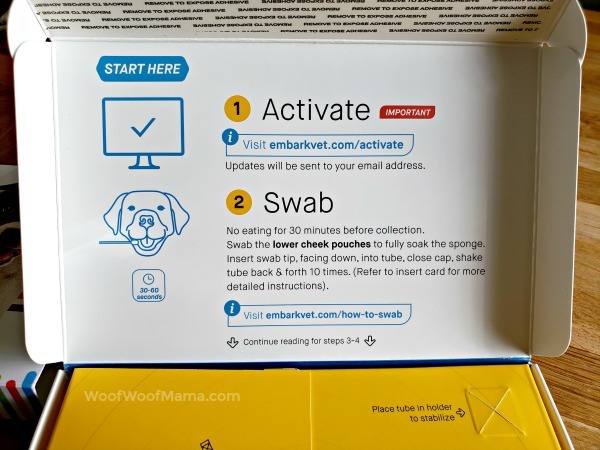 BarkBox is the most popular dog subscription box service around and every BarkBox order can be fully customized for your dog’s size and food sensitivities. 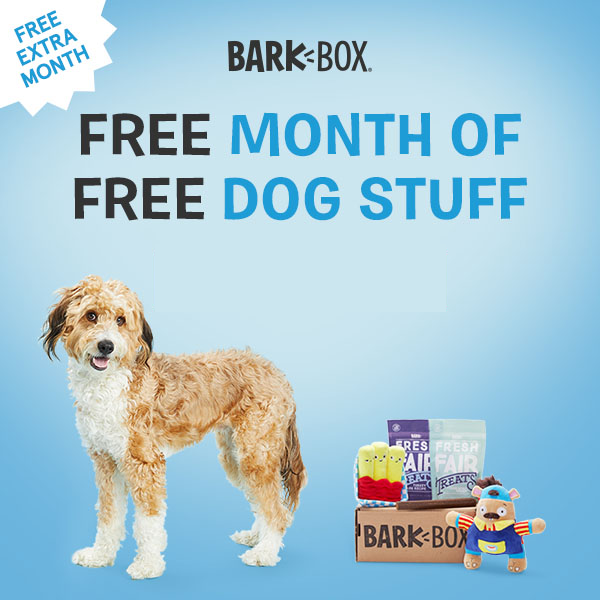 Note that while the monthly BarkBox membership gives you a no commitment option, the 6-month and 12-month plans are a better value since they work out to a cheaper monthly rate. You can visit our BarkBox Reviews Page to see photos and learn more about BarkBox. Visit the BarkBox website to customize a plan for your dog! Whether your dog is a sweet little baby, a rambunctious teenager, or a serene senior, they are ALL puppies to us! 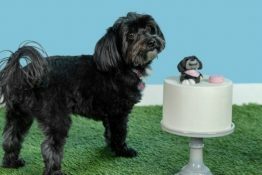 Saturday is National Puppy Day (one of the MOST important holidays of the year) and BarkBox is celebrating with a Flash Sale for dog lovers. 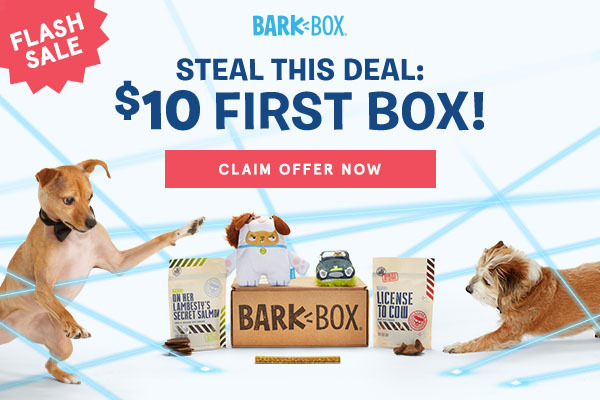 Four Days Only, get your dog’s first BarkBox for $10! 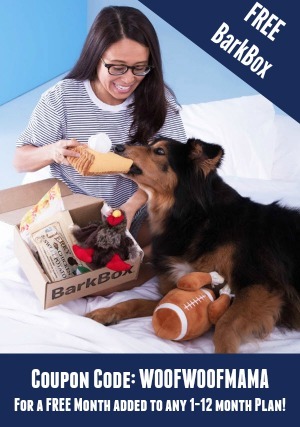 BarkBox is the most popular dog subscription box service there is. 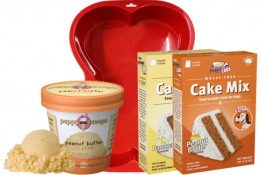 It’s a monthly mystery box of toys, treats and surprises, all customized for your dog’s size and food sensitivities. 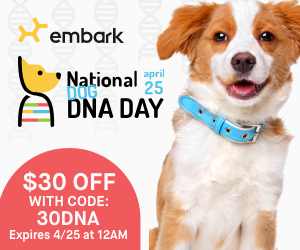 To get the $10 BarkBox be sure to visit this link and order by 3/25 when the deal ends. 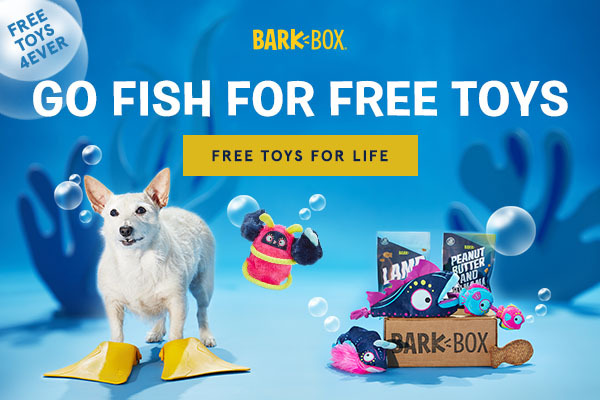 Dog lovers, use this link to get an extra toy FREE in every box when you sign up for a 6-month BarkBox subscription. That means your dog gets a bonus toy each month for 6 months. That’s THREE toys, two full-sized bags of treats, and a chew every month. A savings of $54! 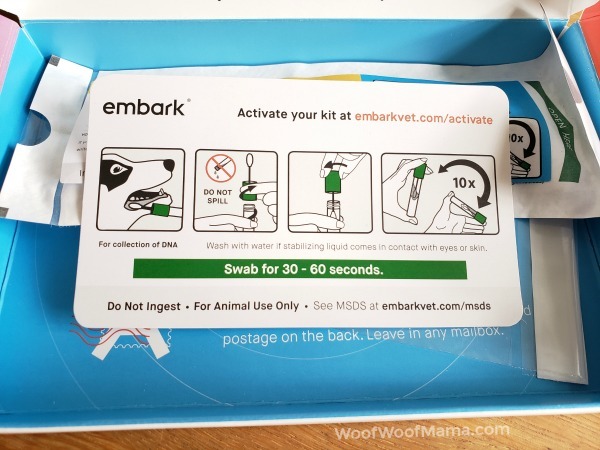 Your BarkBox subscription will be customized for your dog’s size and food sensitivities. US shipping is free and every box includes the BarkBox satisfaction guarantee. Be sure to redeem your FREE Extra Toy Club membership by selecting “Yes, Please” on the Pupgrade page. Offer ends 3/18. 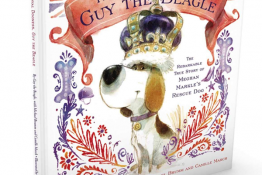 Check out our Barkbox reviews to learn more about this popular dog subscription box service!